This is my biggest selling mod. 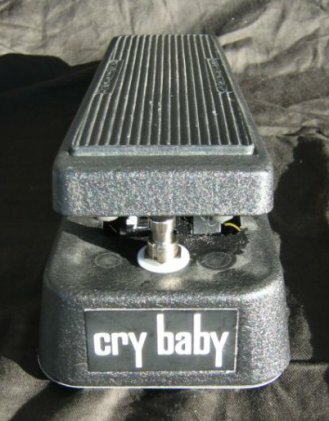 The Vox 847 & Cry Baby GCB-95 pedals just don’t nail the classic wah sound we all hear when we think of this effect. The new pedals have a shrill top end and limited sweep that just doesn’t cut it. Get your Dunlop Crybaby GCB-95 or Vox 847 Wah pedal modded with my Voodoo Chile Mod Kit. Gain and bass response is increased. Vocal mod to give more vocal quality to the wah. Midrange boost, helps if your pedal sounds dull or muted when rocked back and forwards. The pedal can be modded with true bypass, LED on/off mod and a Wah/Volume mod, see my other pages for more information. Pedal sounds great! Great mods as well as a great trader! Highly recommend Dave’s mod abilities as well as his efficient trading! Wah sounds great, excellent fast work.